Parents are the first and most important teachers of the child and they influence almost all aspects of the child’s development. According to Dr. Ranko Rajović, one of the biggest experts in early childhood intelligence, children do not need to be surrounded with piles of toys, since many toys do not really benefit them much. Children can play quite well with fewer toys which will help the development of their imagination. Dr. Ranko Rajović is a medical doctor, the author of the NTC learning program, a program present in 17 countries of Europe (in 7 countries it is accredited by the Ministry of Education). He is the founder of Mensa in 5 countries, and a member of the International Mensa Committee for Gifted Children, and the author of the book “Child’s IQ – parental concern” and “How to successfully develop a child’s IQ through playing (4-8 years of age)”. He is equally appreciated and followed by educators, parents and teachers, and he always stresses that arts, music and PE are very important subjects especially in the period of intensive brain development, which is until the age of 12. The goal of his NTC method is to develop child’s critical thinking, which is one of the most important reasons for the success of this award winning program. The program won the 2015 World Mensa Award for contribution to the development of the society as a whole. 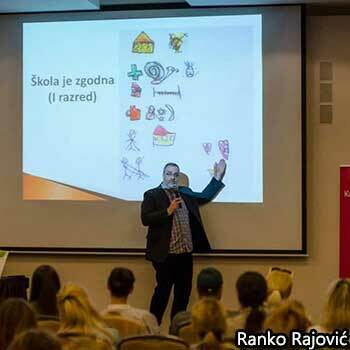 Dr. Ranko Rajovic wrote “Child’s IQ – parental concern” and the manual “How to successfully develop a child’s IQ through playing (4-8 years of age)”., in order to help parents and educators avoid big mistakes or teach them how to fix them (if they have already made a problem in the child’s development). Many parents allow their children to participate in certain activities that actually prevent their proper development. Excessive TV watching, playing video games, a lack of graphomotor activities and, physical inactivity damage and reduce the development of certain biological potentials. According to Dr Rajović, this period of life (4-8) is the basis of the future development of each child’s intellectual abilities, while parents unintentionally do the wrong things, not knowing how to stimulate children’s development in an optimal way. 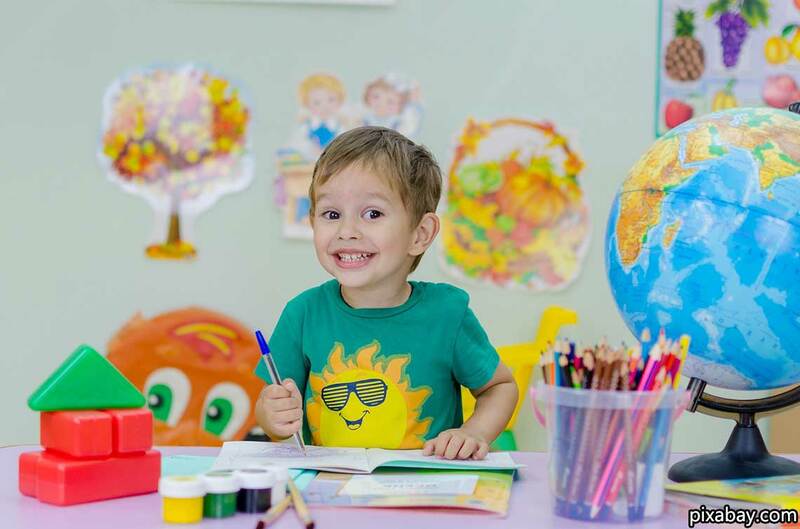 According to the latest research, learning disorders, which occur as early as in the second and third grade of primary school, occur as a result of a lack of certain activities in the earliest childhood. Usually these are forgotten games such as jumping, rotating, and later marbles, jumpsies, hide and seek. It is these activities that stimulate the formation of connections (synapses) between nerve cells and encourage the development of intellectual abilities. “Child’s IQ – parental concern” is a book that contains basic principles of the NTC Learning Program and is a good theoretical introduction for every adult who wants to know more about the NTC learning system. The book guides readers through all three phases of the program: brain development, linking what has been learned and developing functional knowledge. “How to successfully develop a child’s IQ through playing (4-8 years of age)” is a continuation of the book ” Child’s IQ – parental concern ” and contains many practical examples of work with children and the application of the NTC program. Suggestions for games in the book can be used with children in preschool institutions, but also at home.